Why Shopify is the best Platform for E-Commerce? If you are an entrepreneur and you are looking for the best way to sell your products, the one with which you can reach many people, and without high costs, then E-commerce can be the solution. E-commerce represents a significant opportunity for companies that want to grow and enhance their competitiveness since they can practically reach anyone in the world thanks to the Internet. Once you decide to implement a virtual store, the question that arises is how? There are three options in the E-commerce market: you can use software like services (SaaS), use open source or open source platforms, or use a tool developed to measure. As an entrepreneur who values your time and money. One of the best options is software as a service (SaaS). Since it allows you to get your online store in almost 5 minutes, with a relatively lower cost (depending on the package you choose) and The most important thing is that they are fully functional, professional and have a variety of additional features that improve the digital marketing of your business. Within this category, there are multiple options, however, in Web development, we recommend using the Shopify platform, one of the most popular tools for doing E-commerce. Shopify has everything that is required to start a successful business on the Internet, from the most fundamental as security for your customers to those that give a plus to your business like selling through Facebook. Also, if you are looking to internationalize your business, this is the ideal platform because it allows you to sell in any language and accept payments in any currency. Work with an expert: To not use the same templates as other users and make your tailor shop, you can have the option of working with experts in web design and programming to customize your online store from scratch. Save yourself, the difficult task of looking for a programmer and take advantage of Shopify experts. 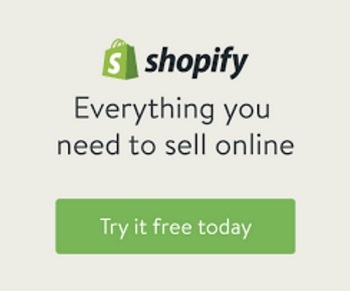 Simple and intuitive: Besides being a very quick fix, Shopify is a very intuitive platform so you will not need much knowledge of computers to update your virtual store and manage your own business. Ah!... Why did we tell you that you have control of your store? As the owner of the business, you can manage your platform and make the necessary changes. Create your own blog: Shopify is such a complete platform that also allows you to have your own blog. In it, you can publish and categorize articles, in addition to receiving comments from your readers. Complement your digital marketing strategy with content marketing! SSL certificate: The SSL certificates are a security protocol to protect your users as they navigate your website. This is a way to tell your visitors that the site is safe, authentic and reliable. Shopify includes this certificate from a free (256 bits), so much the content of the page, such as credit cards entering your customers and your personal data will be protected at the same level of security used by banks. Internationalization: Did you know that the payment screen of your virtual store could appear in 50 different languages? There is no better way to reach customers than speaking in their own language. So Shopify, based on the location of your client, is able to adapt the platform to the language, not only that but also accepts international currencies And automatically takes care of applying the taxes of the country and the state. Manages information of your customers: For every business is very important to have customer information, enabling them to provide better service, Shopify is aware of this and therefore creates customer groups, which categorizes and exports from its Location, purchase history, among many other options. Also, you can know more each customer and their buying habits, having the possibility of its clients create accounts in your store. Improve your SEO: Shopify helps you your potential customers find you more easily and quickly in search engines so using the best practices of SEO. Loyalty to your customers: One of the primary objectives that your company should have is to create profitable relationships with customers. You can do this by notifying your customers of new items or discounts, all this you can do in a practical way using MailChimp. Improving the administration of your store: Shopify gives you the option to manage all your inventory on the same platform, you can also organize your products by category, season, promotion, etc. Unlimited Bandwidth: Your virtual shop will not fall by too much traffic, and even you will not overdo an extra charge for the number of visitors. Your virtual store will have unlimited bandwidth. Now you know that Shopify is the best platform for your online store?... 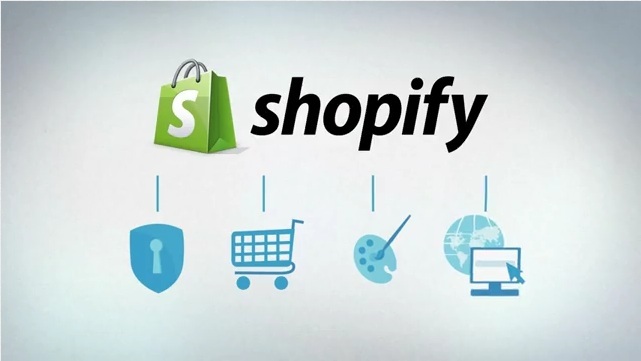 We are aware that doubts are inevitable and that every platform also has its limitations, however, if your business is just starting out or is about to enter the market, you will not find a better option than Shopify, thanks to its excellent features, professionalism, and Practicality.